It's a huge open air bar playing all kinds of music. It has pool tables, games, a huge pool with waterfall and slide, and as the evening goes on it gets very lively. Eclipse Bar is a huge open air bar playing all kinds of music. There are pool tables, games, a huge pool with waterfall and slide, and as the evening goes on it gets very lively. 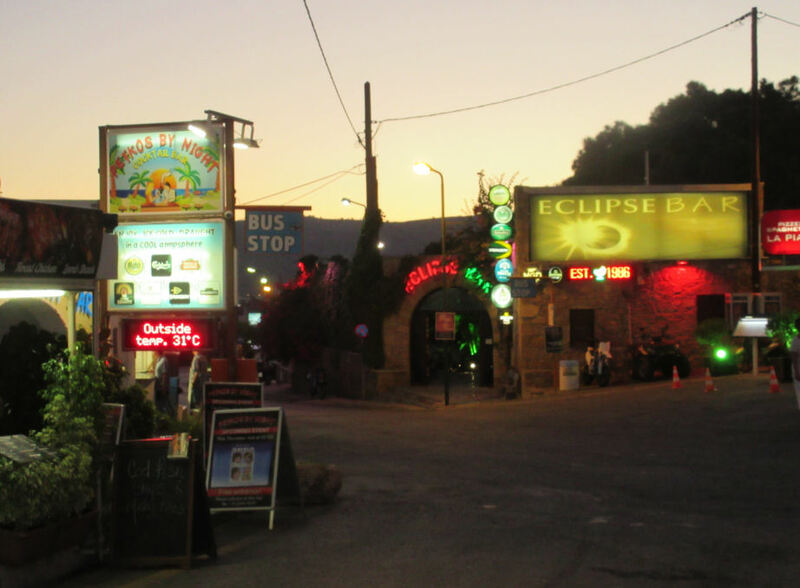 Eclipse is the last big bar as you head out of Pefkos towards Lardos. It's a large open air bar very popular with the young - This is where the teens and youngsters head for in Pefkos. 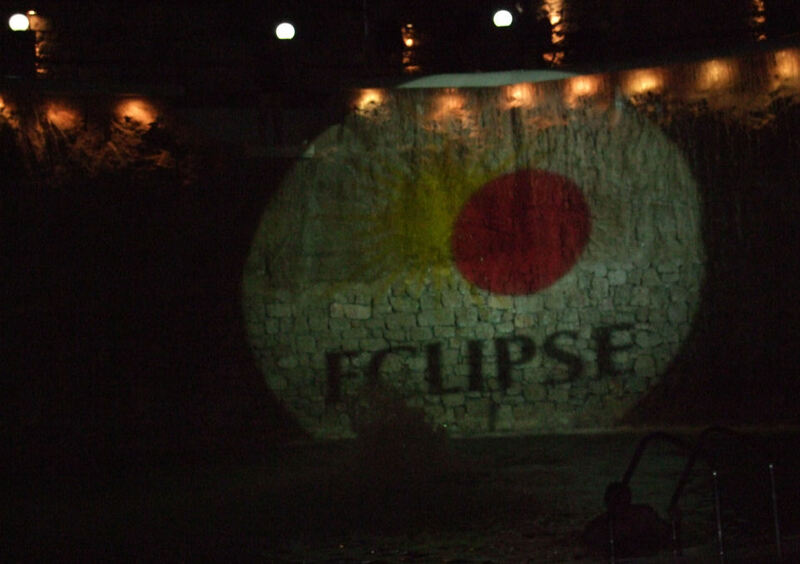 You will have seen the Eclipse sign illuminating the mountain at night. It's famous for it's pool with a rocky backdrop used for high diving. If you're worried there's nothing for your teenage offspring, check this place out. To many, this is by far the liveliest place in the village. It caters for all ages, but average age tends to drop as the time gets later. This place stays open well into the early hours. More details can be found on the Eclipse Bar website. If Eclipse Bar is a favourite of yours, give them a vote in Best in Pefkos 2017.